Ludo is one of the most played indoor/board games especially in the parts of Subcontinent, Asia, and the parts around. By the passage of times, this game became more and more popular all across the world and before time, it finally made itself to the platform of smartphones such as Android and the game called Ludo Star is the new sensation these days. 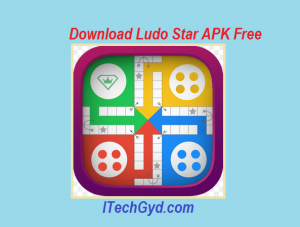 Ludo Star is a free board game developed and published by Game Berry for the Android and other smartphone operating systems. Within no time, this game has become very popular among the players and is the new sensation these days. There were other games which were developed for the niche but unique features and game modes of this one drove everyone crazy. In this article, we will be reviewing the game based on its features, game modes, and controls. At the end of the article, you will be able to download the free Ludo Star 2017 APK from our website. So having introduced you to the game, let us move on to the review of features and game modes of this new sensational game on the android. Ludo is a simple game in which a maximum of four players can take part. Each of the players have assigned tickets of a specific color and using the numbers on dice, they have to bring those tickets home while killing other tickets and saving themselves during the endeavor. Different people across the world have different rules for the game and in this android version, there are three different game modes based on different rules. The first mode in the game is quick mode which is designed in a so that you can quickly finish off the matches and decide a winner. In this mode, you don’t need to score a six on the dice to bring out your ticket from the home. You will however, need to kill the other ticket at least once to enter the home and win. Out of 4 tickets, just 1 is necessary to win the match. This mode follows the rules which are generally followed while playing this game. You need to score a six on the dice to bring each ticket out of the box. You will also need to kill the opponent at least once to enter the home. All four tickets are needed to bring home in order to win the match and of course, do it before your opponent does. In this mode, you will need to roll the dice and bring a six to start moving your tickets on the terrain. Also, you will need to kill your opponent at least once to remove the home entering ban. If two tickets of the same color come at a single point, they will be combined and move together unless they reach a checkpoint where they will be separated again. The game also features a multiplayer mode in which you can play all the above modes by connecting online to your friends on Facebook and others. Get the free Ludo Star APK right now from our website and start playing this awesome game right now on your android smartphone devices. 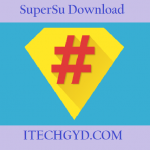 You can download ludo star apk free below using the green download button that is located below author bio. 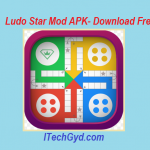 You can also download ludo star MOD apk. 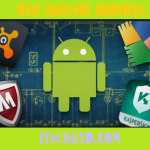 Click the link above and read about its mod apk and download it for free. 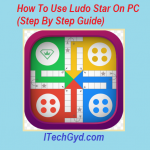 Recommended: Learn how to use ludo on PC.